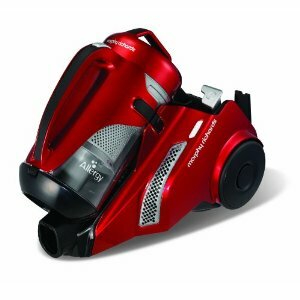 Small and compact, the Morphy Richards 73230 cylinder is a beautifully crafted machine. It’s small 6.1kg frame is satisfactory for those caring about how heavy the machine is. With such a small frame, it’s easy to manoeuvre around tight corners or small spaces such as vacuum cleaning the stairs or in between furniture. A HEPA filter is included and the floor head can be altered for different types of floors (carpets and hard floors). The dust container capacity is 1.6 litres, which is pretty good for such a small machine. Like many cylinder vacuums, the accessories are stored on the handle, making it easy to access on the go. This model comes with a dusting brush and crevice tool for your convenience. 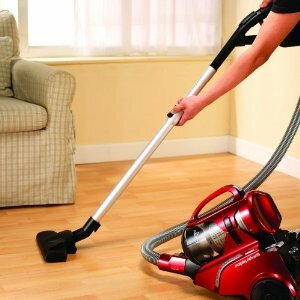 The suction of the 73230 is very powerful and rivals some of the bigger vacuums available. It’s easy to assemble this product and emptying the dust container is no trouble at all. Comes with essential accessories for cleaning small areas. Cleaning range of approximately 8.5 metres. Perfect for those living in smaller homes with little space. Powerful for all types of floor cleaning. Light enough for those with troublesome backs or the elderly. Large enough bin container to not have to empty often. Could do with an attachment for upholstery.